Not really much Russia can do to deny the arctic to submarines... no matter where they come from. As long as the subs stay outside russian territorial waters there is not much you can do against them. Best protection would be a underwater wall, from Murmansk to Anadyr!!! If they can shoot down/disable their SLCMs & deploy more MPA, UUVs & subs, those seas will be denied easy access & their mainland will be better protected. That's what the S-300/-400 & MiG-31s r for! In the central design office "Lazurit" in Nizhny Novgorod, construction began on a long-range UAV for the Northern Sea Route. As expected, the device will be able to overcome in the autonomous mode about 10 thousand kilometers under a layer of ice. By 2020, it is planned to create three demonstrators, after which they will pass sea trials on the Black Sea along the route Sevastopol - Sochi and back. The passage of the Northern Sea Route is planned for 2022-2023, Denisov specified. Note that in Russia, underwater drones have already been created that can cover similar and even long distances. In particular, this is the Poseidon apparatus , which is a robotic nuclear submarine. The difference of the new complex, called "Sarma", is that it will be equipped not with a nuclear engine, but with an anaerobic power plant. The advantages of this approach are more economical and environmentally friendly. For the time being , the main task of Sarma is declared seismic exploration and ensuring the safety of navigation along the Northern Sea Route. When sailing, the device will rely on its own navigation without communication with space satellites. MOSCOW, January 22. / TASS /. The Russian military deployed in the Arctic mobile radar complex (RLC) "Resonance-N" with elements of artificial intelligence. 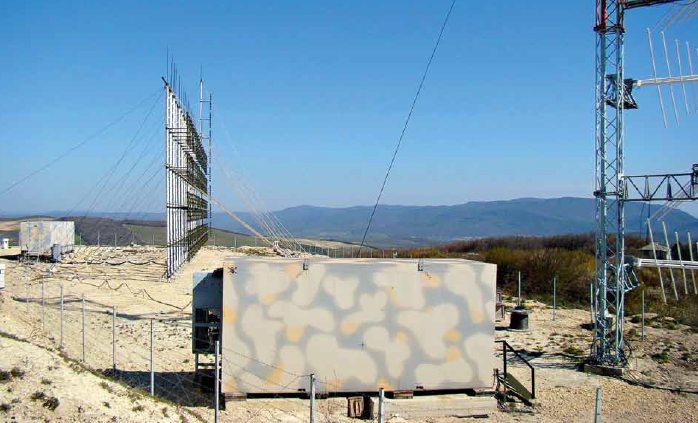 A modern radar is capable of detecting cruise missiles and drones a thousand kilometers away. Such technologies are especially important for the Arctic region, from where a potential enemy can strike at areas of the Urals, Siberia and Central Russia. About this newspaper "Izvestia". As told to the publication in the Ministry of Defense, "Resonance-N" entered service with the Northern Fleet at the end of 2018 - he joined the divisions of radio engineering troops of the 45th Army Air Force and Air Defense. The complex is designed for effective early detection of a wide class of modern air objects. He is able to notice and classify flying objects with a small reflective surface. Resonance-N easily finds inconspicuous cruise and ballistic missiles, hypersonic aircraft, mini-UAVs, helicopters and airplanes made using the technology of reducing radar visibility. When developing "Resonance-N", the latest cognitive technologies of mathematical processing of large data arrays, which are capable of self-learning, were implemented. Phased antenna array greatly expands the capabilities of the complex, and the locator can automatically exchange data with other radars. Such equipment makes it possible to detect air targets within a radius of 1,100 km and to give target indications to fire weapons of an air defense system located at a distance of up to 600 km. 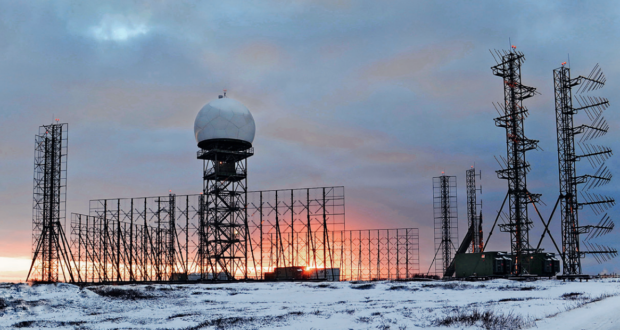 Russian Northern Fleetn deploy new short range OTH radar Rezonans-N with 1100 km range, 100 km in altitude and covering 360o. Radar detect all types of targets and track up to 500 targets. With an almost non existent navy and no I've breakers. I bet on 10-12 nucler tipped Kinzhals to equalize the whole UK . I dont think his puppeteers are not seeing this. miketheterrible wrote: With an almost non existent navy and no I've breakers. it will be right after British Bulldog bites Chinese Dragon. Actually not bites to death but scratches, keeping teeth in dragons armor. They have 24 C-130Js/-30s, 8 C-17s & 20 A-400s, no need to send LHDs to deliver them there. They won't need to go past Norway, Iceland, Greenland & Spitsbergen. Russia won't be sending her marines there, but defend her possessions. Canada has her units in their Arctic & the US won't need British help in Alaska. Small SOF groups can be deployed from subs, like they were from the German U-boats. Tsavo Lion wrote: They won't need to go past Norway, Iceland, Greenland & Spitsbergen. Russia won't be sending her marines there, but defend her possessions. Canada has her units in their Arctic & the US won't need British help in Alaska. Small SOF groups can be deployed from subs, like they were from the German U-boats. UK doesnt want to play area denial games or to help anybody. UK wants tap to arctic resources. On Russia's expense of course. Why this war like rhetoric? will UK declare wt to Russia? good luck. They want to train there, get used to Arctic cold weather ops., & put pressure on Russia. Also to prove that they too can operate there. 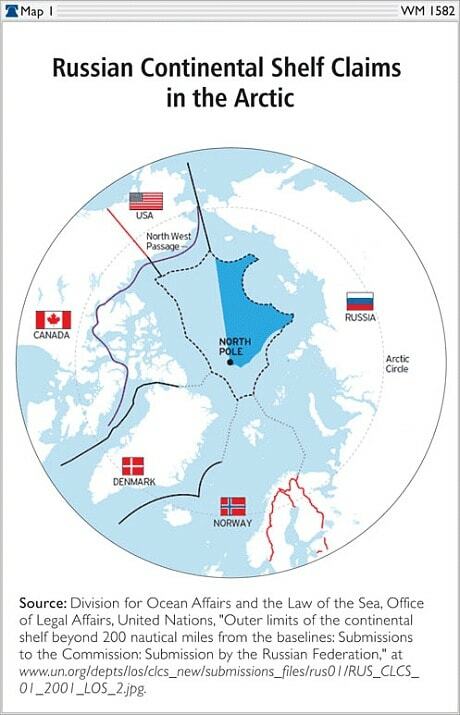 If Russia's shelf claims r not honored, she can withdraw from UNCLOS & restore the Soviet Arctic sector boundaries, i.e. expanded EEZ. Tsavo Lion wrote: They want to train there, get used to Arctic cold weather ops., & put pressure on Russia. Also to prove that they too can operate there. besides attack on Russia is any other reason? TsavoL wrote: If Russia's shelf claims r not honored, she can withdraw from UNCLOS & restore the Soviet Arctic sector boundaries, i.e. expanded EEZ. heh that would be good to see. But frst things first to protect strategic attck directions, northern route + mineral deposits. They won't succeed unless Russia breaks apart. It's like bee trying to sting a tortoise. Russia can retaliate against the S. Georgia & Falklands with SLCMs. If the US had as many icebreakers, those words would have more weight. SO how many ships were "enforcing freedom" in Russian waters round Crimea? is not be cruising off Russia's Arctic coast 24/7. Hostile warships are not covered by neutral waters transit. What kind of countermeasures in Scandinavia r going to stop Russian AShMs fired from land, sea &/ air? Finland isn't going to do much for the US unless she wants to become another target. New Russian B/CMs can avoid the Arctic all together. SS/GNs escorting SSBNs in the Arctic can sink those ships too. Arctic basin is metamorphosed sedimentary rock devoid of any fossil fuel resources. trying to bite off way more than they can chew. Russia's extended shelf claims outside of the EEZ r suspected to have a lot of resources & in any case those planning to navigate there will also need Russia's permission.